The last letter lunch, F is for Frog shaped French Toast, linked the gap at the beginning of the alphabet of letter themed lunches that I had started quite a while ago (late 2012). Now to complete the alphabet, we jumped down to the letter W where we left off when we switched preschools. 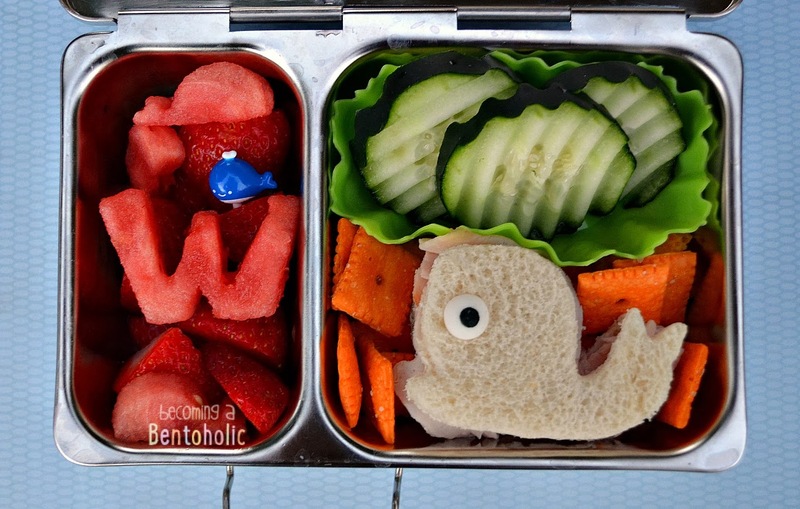 In this lunch: Strawberries, whale shaped watermelon and a "W" watermelon, crinkle cut cucumbers, turkey whale sandwich with a candy eye, and Cheez-its.